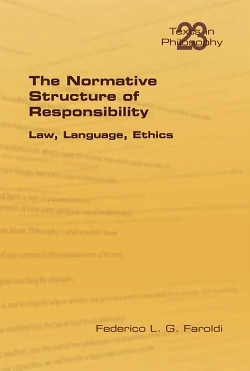 The Normative Structure of Responsibility deals with responsibility in legal, moral, and linguistic contexts. The book builds on conceptual analysis and data from everyday language, ethics, and the law in order to defend the thesis that responsibility is fundamentally normative, that is, it cannot be reduced to purely descriptive factors. The book is divided in three parts: the first part draws a conceptual map of various responsibility concepts, conceptions and conditions and their interaction with different kinds of rules; the second part engages with arguments in favour of a descriptive understanding of responsibility based on ethics, neuroscience, and metaphysics and argues against it; the third part investigates the language of responsibility and its use in formal and informal contexts.